The description of creation as it appears in the Bible makes no sense. The first page of Genesis features no humans at all. The substance of heaven and earth arise spontaneously at God's command. Light is mentioned twice, whales appear before birds. Vegetation appears after light, but before day is separated from night. 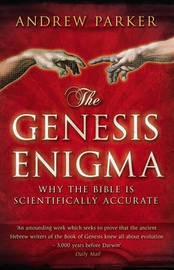 Could it be, however, that the creation story in Genesis was written as it was because that is in fact the correct order of events at the beginning of the world? Can science - while agreeing with Darwinian evolution, the big bang theory and the complexity and deep age of the universe - prove the order of events as described in the Bible to be true? 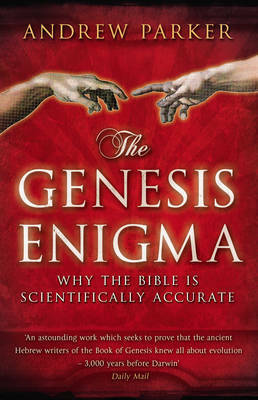 In The Genesis Enigma, respected scientist Andrew Parker brings the latest discoveries to bear on this controversial and contentious question and reveals in stunning detail how the world and all of the life on it came into being. Andrew Parker is a Honorary Research Fellow of Green Templeton College at Oxford University. He is a Research Leader at the Natural History Museum, and a Professor at Shanghai Jiao Tong University. He has written two previous books, In The Blink of an Eye and Seven Deadly Colours.